In his first novel, poet, screenwriter and art critic Brian Lynch takes on the story of William Cowper, an eighteenth century poet and descendant of John Donne, whose genius was plagued by madness. Having begun life as a screenplay, ‘The Winner of Sorrow’ made the transition to novel form when the BBC passed on the chance to film it. This history may explain the book’s scene–like chapters and its fluid narrative. Lynch guides the reader through Cowper’s childhood and early adulthood as a lawyer in the Inner Temple smoothly, and quite quickly, depicting an unfulfilled romance with his cousin Theadora and the first signs of his mental instability. More attention is paid to the time Cowper spent with the Unwin family, particularly Mary Unwin. She was the widow of a priest, to whom he was briefly engaged and he remained devoted to her for the rest of her life, despite opposition from his family and hers. His battle with insanity is explored in a very vivid way, using paintings to visualise how his demons oppressed him. Part of the mastery of Lynch’s story lies in the imagery he uses to show us the darkness of Cowper’s troubled mind. Anyone who knows their Jane Austen will have read the name Cowper, but what Lynch does here is to give us a vivid picture of the man. His fictionalisation of the life of William Cowper, an almost forgotten poet, is so momentous that it would certainly have made a very watchable period drama. Brian Lynch is an exceptional Irish writer. Not only because of the quality of his writing but because he stands outside the circuit of crude marketing and public posturing by writers now required, apparently, to sell books. This beautifully written novel is about the English eighteenth century poet and lunatic William Cowper. But don’t stop reading at this point. This is one of those rare books that creates an unfamiliar world and then draws the reader into it. Cowper is best know as a precursor of the Romantic poets Wordsworth and Burns. Some of his lines (‘Variety is the spice of life,’ ‘God made the country, and man made the town’) have passed into the common vernacular. He was a strange mixture of suicidal suffering and writing of pure, elegant simplicity. Brian Lynch captures this mix wonderfully well. Although he clearly couldn’t function in the world Cowper managed to survive, with a body servant, Sam, and little obvious source of income, through various abodes in provincial England. His real journey, though, was internal through his reading and writing and all of this is brought fully to life by Lynch. The external life is here, too, in the rich detail of the book with its mastery of eighteenth centry English customs and landscape, food, medicine, prosody and evangelicanism. Cowper also attracted the support of several women, in particular, two widows, Mrs. Unwin and Lady Anna Austen. Clearly impotent, he nevertheless generated this nest of turbulent sexuality around himelf. This sad sexual comedy is the centrepiece of the novel and the characterization of the two women, one solid, the other mercurial, is particularly sharp. And what about Cowper himself? It’s extremely difficult to bring an artist to life in fiction, to make the connection between the ordinary and the art. Not only does Lynch do this, he brings the whole complex of contradictions in Cowper into view. The peculiar stubborness of a shy man, the kind of control over women which a passive man can exert, the clear bell-like voice of poetry from a man with monstrous voices in his own head. Cowper gave these voices grim names, like the Mocker, the Judge, the Accuser. This terrifying inner life is balanced by the comic sense with which Cowper faced most things around him, including his ladies. This, too, is caught by Brian Lynch. The vision isn’t too far away from Beckett. ‘Sometimes he thanked God he was mad – you could laugh out loud and not have to explain yourself’. As you can see, the narrator of this book is witty, urbane with a sense of the ridiculous and how it touches human sadness. Lynch is also an accomplished poet and there is passage after passage here of startling, verbal beauty, never ostentatious, always integrated into the story. And what about that story? There will be readers, I think, who will miss the typical plotting of a novel. But Lynch is after something more natural, the casual rhythm of how time passes, full of accidental shifts, some of them contrived by busybodies. The opening chapters, too, present challenges to the reader. They start with Cowper in old age but with a series of rapid, unsignalled references to the past. Indeed, some of the opening is only fully explained later on. Just stay with it. Thomas Kilroy’s most recent play Henry opened September 2005 in the US to critical acclaim. Brian Lynch is an Irish poet and scriptwriter: this is his first novel. It is a richly textured, tragi-comic exploration of the life of William Cowper, a fellow-poet with whom he clearly feels a deep affinity. He insists that it is not a biography, but it would be fair to classify it as ‘fictionalised biography’, a genre which has become firmly established in recent times through the practice of writers such as Peter Ackroyd and Julian Barnes. Indeed, Brian Lynch has remained significantly more faithful to the known facts surrounding his subject than have some other authors in the field. There is evidence on every page of his intimate knowledge of Cowper’s letters and poems, and of the work of earlier biographers such as Lord David Cecil and James King. He has closely researched the poet’s milieu, and presents a convincing picture, not only of the lives of William Cowper, John and Mary Newton, Mary Unwin and the other dramatis personae of the story, but of life in Olney and the surrounding countryside. But he does far more than this. Above all, he brings a poet’s eye to the narrative and structure of the book. Naturally, for a poet writing about a poet, questions of technique arise and are discussed at appropriate points in the story. There is a beautiful chapter in which Newton and Cowper visit a lacemaking school, on the way discussing the finer points of hymn-writing. At the school, Cowper is deeply moved by the pathos of the little girls working in freezing conditions, but also inspired by the power of simple verses, the lacemakers’ ‘tells’, to imprint themselves on the memory – which in turn feeds back into the continuing discussion of hymn writing. But the poetic method informs the book in more subtle and important ways – through imagery especially, but also through wordplay and a vivid particularity in the realisation of people and objects. For example, the poem ‘The Snail’, which is seen as clearly autobiographical, provides a recurring motif illuminating aspects of Cowper’s character and, in particular, his sexuality. The prevalence of wordplay is such that the reader must be ever on her toes if she is not to miss some of the subtleties of what is on offer. There is a mystery at the heart of the book – the meaning of ‘Sadwin’ – which is partially unravelled by discussions of the names of the characters, but which demands an alertness to the nuances of language which is as bracing as a Norfolk sea breeze. The novel deals with large themes – madness, love, loneliness, creativity, old age – as played out amongst a group of people living in a small market town at a time of major social and political change. As in Jane Austen’s work, irruptions from the wider world of revolution and the French wars unsettle the apparently uneventful lives of the protagonists. Cowper and Mary Unwin, however, with the Newtons, constitute an inner circle which dangerous or interfering outsiders like Anna Austen and Harriot Hesketh attempt to penetrate in vain. Exclusion is a powerful force prompting action and forming character – exclusion of interlopers from the inner circle, Cowper’s feelings of exclusion at school because ‘he is not like other boys’, exclusion by death from his mother’s love, culminating, tragically, in the unshakeable belief in his exclusion from God’s love. Morally, all the characters can be selfish and manipulative, not least the saintly Mary Unwin when her stake in Cowper is challenged, but a measure of ordinary human kindness is enough to create lasting bonds between true friends and enable them to survive (‘All four of them had loved each other’, p.320). As is appropriate for a hero who lived most of his life in an intimate female circle (there is a recurring image of Cowper as Hercules ‘unmanned’ when he became the servant of the queen Omphale), the women are given their full due. The character of Mary Unwin is explored with great delicacy as a person with her own foibles, weaknesses and jealousies as well as a heroic capacity for devotion. It is good to see the balance thus partially restored between William, who through his letters and poems was able to fashion his own image for posterity, and Mary, who has left scarcely any record of her real character and emotions. John and Mary Newton are painted with a broader brush and seem not quite fully realised, but the most challenging creation is Lady Austen, who imparts a heavy sexuality and vitality to the central chapters and then is cast off as brutally as was Falstaff by Prince Hal. Others have their exits and their entrances – Theadora, his first love, the Revd Bull, who weeps at every mention of Christ’s suffering, Johnny Johnson, birdlike saviour and carer for the old couple, and the appalling Samuel Teedon, whose frowstiness is evoked with a relish worthy of Dickens. The Winner of Sorrows is a vividly imagined exploration of the life and inner struggles of a complex personality – it gives us a Cowper for our times. It is a demanding read, but worth the effort for the fresh insights it brings to our understanding of the man and the forces which shaped his poetry. 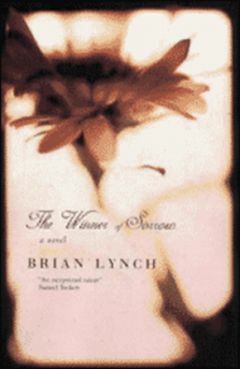 IN The Winner of Sorrow, an extraordinary excursion into the mind of an 18th-Century English poet, author Brian Lynch sets himself a threefold challenge, each part as great as the next. First and foremost, Lynch endeavours to breathe life back into the lost legend that is William Cowper, a literary figure who has been all but forgotten. Second, he attempts to recreate the world and social mores of Cowper’s long-dead era. Lynch’s third and final goal is to give an insight into the life, loves, writing and sporadic madness of this eccentric genius. William Cowper (1731- 1800) was the most acclaimed poet of his day. During his lifetime, he counted among his admirers such literary giants as Jane Austen, William Blake and Wordsworth. Cowper lived the privileged life of a lawyer in the House of Lords before he suffered a breakdown, an event which radically altered the course of his life. After becoming ill, he fled London and, obsessed with suicide, became reclusive, taking refuge in poetry, women, letter-writing, religion and gardening. And this is where we catch up with him. The book opens with him holed up in the little village of Dereham in Norfolk where he “rarely left his lodgings”. Lynch’s portrait of Cowper is his finest achievement as he succeeds in bringing the legend that is Cowper back to life so vividly you could reach out and touch him. “After Mary’s secret burial, not only had the voices returned, many more of them than before, but the ghosts that owned them were visible even in daylight, although, as they were invariably hooded, veiled and cloaked, they were faceless.” The author also rises superbly to his second challenge, to re-imagine Britain during the early 18th Century. The book is also full of social comedy, and it is this humour that brings the age alive, and also adds to the reader’s pleasure. Lynch often pokes fun at his characters: “There were times when Hayley could talk sense, but since they required the coincidence of his having both a crushing hangover and a clear avenue of escape from trouble, such times were infrequent.” Lynch’s third and final challenge, to give an insight in Cowper’s inner life, is also risen to with finesse. How the poems come from this tortured soul is drawn in bright colours, and it transports us to the secret place from where the poetry is wrought. Touching this hub is Lynch’s goal, and he succeeds masterfully, giving a rare insight into how raw inspiration is translated into poetry. Because of the richness of detail, it is difficult for the reader to keep in mind that this is not a biography of the poet, but is, in fact, a vividly imagined novel. The author used various devices in his writing, with works of art used throughout the book, usually to set the scene. His characterisation is also a strong point, with all his characters drawn mercilessly, and as a result ringing true. Lynch rises superbly to all three of the challenges he sets himself, producing a novel that is both original and remarkably beautifully written. The Winner of Sorrow is a triumph. BRIAN Lynch’s elegantly weaved novel about the life and times of English 18th century poet and confirmed madman William Cowper comes slowly into focus. The opening chapters, in particular, with their shifts in time and place – starting with Cowper as an old man, but quickly moving in and out of his youthful memories – challenge a reader to persevere. It’s a challenge that becomes worth it. Slowly, the book reveals itself as a meticulously crafted piece of work, a mixture of biographical research, expansive imagination, and a dedication to the examination of the rigours of being a writer. This is not a biography -as Lynch himself makes clear in the sleeve notes – but it nonetheless draws a comprehensive picture of Cowper’s strange and eccentric world, and most importantly, makes the reader want to know more about it. Why, for example, does Cowper, impotent and inept, barely able to make his way in the world, attract the care, attention, and sexual attraction, of women, who flutter about him, attempting to have themselves noticed? But Lynch’s writing climbs above the necessary craft of human observation. Although this story is primarily the tale of an internal life – as Cowper struggles with the process of writing, turning thoughts into words, imagination into penned descriptions – Lynch doesn’t neglect the detail of the poet’s external world. Eighteenth century England, with the discrepancies between the lofty nature of its religious evangelism, and the grimy nature of much of its real life, is accurately captured. Lynch is himself an accomplished poet, and his own, beautifully created writing is one of the most satisfying aspects of this novel. He has managed to grasp hold of that most difficult of tasks – using the power of words to tell a story – and finely tune it, so that both language and narrative become almost the one. A fine achievement. A wonderful book. The word Dickensian is much bandied about in the books pages these days and when I hear it I generally reach for my revolver. It denotes either a shapeless over-written pile of journalism masquerading as a novel, Tom Wolfe comes to mind, or an elongated pastiche which reveals the shocking fact that Victorian England had a darker side. Yet less than thirty pages into Brian Lynch’s excellent first novel we’re presented with a situation which seems truly Dickensian in all its grotesquery, humanity and intractability. The book’s protagonist is presented with the chance of a well-paying legal sinecure. Being a shy sort, he’s worried about the possibility of having to come through an interview. Not at all, his uncle assures him, it’ll be pretty straightforward, just get through the interview before the Bar of the House of Lords. ‘Before the house of Lords? Before the whole House of Lords?’ Our hero is aghast and tries to commit suicide in order to avoid the interrogation. This might sound like the stuff of ripest melodrama but it actually happened to William Cowper, one of the finest English poets of the Eighteenth Century and the subject of Lynch’s book. Cowper’s life, like that of Samuel Taylor Coleridge who declared in the Biographia Literaria that his predecessor was one of ‘the first who combined natural thoughts with natural diction, the first who reconciled the heart with the head,’ is not short of sensational aspects. Madness, religious fanaticism, unorthodox domestic arrangements and struggles with Laudanum all occupied the poet during his life. But it is one of Lynch’s most impressive achievements that he has from this sensational material wrought a novel whose abiding tone is one of austerity and seriousness, thus making its central character far more than just the sum of his obsessions and oddities. Equally impressive is that there is nothing anachronistic about The Winner of Sorrow. The besetting sin of many historical novels is a refusal by the writer to genuinely engage with the mores of the age he’s writing about. Hence the preponderance of protagonists who have no truck with the sexism, racism or colonialism of their time and are not much more than twenty first century creations parachuted into the past to demonstrate the impeccable personal beliefs of the author. Lynch steadfastly refuses to adopt such an approach. Most of Cowper’s life was bound up with personal religious struggles (he features briefly in Karen Armstrong’s great A History of God as a kind of poster boy for the dangers of Calvinism.) Lacking the certainty of a believer or the insouciance of the agnostic, Cowper ended up with the worst of both worlds. His embrace of predestination convinced him that he was damned to Hell. This fear could well have been responsible for both his madness and much of his poetry. Religious enthusiasm is something modern novelists find it difficult to have any empathy for (though given the current state of the world we might have to work on that.) But Lynch portrays marvellously Cowper’s struggle while also allowing some of his acquaintances to muse on its ultimate pointlessness. When religious faith enables Cowper to recover his sanity, Dr. Cotton of the St. Albans asylum wonders, ‘was our friend saner when he was mad, or is he madder now he’s sane?’ It’s maybe the key question posed by Cowper’s career. But if Lynch was merely interested in examining the literary, religious and historical aspects of the poet’s life then he’d have been better off writing a biography. For a novel to live and breathe it must do different things and these things Lynch achieves. He has the invaluable knack of creating living, breathing characters with a deft minimum of verbiage. Cowper’s status as one of those hapless impractical men surely over–represented in the literary life is affectionately sketched. Lynch also manages the tricky task of delineating a consciousness formed by immersion in the Bible and the Classics, something which is vital if the reader is to get a sense of the influences on Cowper’s poetry. Too often the historical novelist tackles this by the following formula: ‘It’s a fine day Mister X.’ ‘Yes it is Mister Y, it sets me to thinking of Horace when he said (insert fifteen line quotation here. )’ Lynch’s introduction of Virgil, for example, into the conversation is far less intrusive and seems much more natural. I’d hazard a guess that this may be because he’s a man of some erudition himself and probably read the authors in question rather than googling them on the internet. Similarly, I’d imagine that Lynch’s interest in Cowper predates the decision to write a novel about him by some years. The Winner of Sorrow bears the impressive mark of a book which was a long time in the mind of the author before he set a word down on paper. This would partly account for the richness of characterisation. There is, however, another reason for the richness of characterisation, which is that some of the characters in Cowper’s life could hardly have been dreamed of by the most gamey author. John Newton, for example, could hardly fail to illuminate almost every page he appears on. A reformed slave trader who whisks Cowper off to the town of Olney to help him in a religious mission, Newton is the meeting point for the world of Henry Fielding with that of John Wesley. And by the way, he’s the man who wrote, Amazing Grace. There is a certain black comedy about Newton’s absolute religious certainty. ‘Poor, poor child,’ Mary said. Yet for all the obvious drawbacks of Newton’s worldview, Lynch is never censorious about this extraordinary preacher. He never takes that cliched shortcut of ascribing hypocrisy to the Evangelicals Cowper moves among (unlike, for example, Ronan Bennett whose Havoc In Its Third Year is an assembly of lazy middlebrow generalisations). Newton is allowed his beliefs, the author does not step in to reprimand him. Newton, like Cowper, may be an Evangelical but he is far from being a Puritan. In fact there’s enough wine and whiskey downed in this book to keep a James Kelman character in bed for a week. The desire for the other world goes hand in hand with a beautifully evoked sensuous delight in the things of this realm, something which increases our awareness of the dichotomy within Cowper which is tearing him apart. One brief reverie by Cowper perfectly captures the battle between the profane and the sacred and the conflict it creates for an artist in particular. Throughout the book there is a felt quality to the prose, a real imaginative commitment to time and place which captures the grimy texture of eighteenth century life with its, ‘women with their few eggs in baskets, half of them rotten, and their skirt clutching children, bright–eyed and placid with hunger.’ Lynch, somehow, avoids the enormous condescension of posterity and instead seems to write about this world as though he were its contemporary. He also writes well about the process of writing, the technical exigencies of turning inspiration into poetry. Others may well find this the most impressive thing about The Winner of Sorrow. Myself, I’d expect a writer to be able to write well about writing. It is Lynch’s ability to travel outside himself which really makes this not just a wonderful debut but a brilliant novel full stop. Eventually Cowper’s religious enthusiasms diminish and, besides his writing, his main preoccupation becomes his relationship with Mary Unwin, the widow of a preacher also associated with John Newton. They grow old together and the second half of the book becomes a touching examination of what is lost and gained by experience. Mary Unwin, like so many other characters in the book, is depicted with both precision and warmth, a combination difficult to achieve. All the while, Cowper is tormented by nightmares, the horrors of which Lynch does not stint on. The poet retains an ability to arouse the interest, (and perhaps mothering instincts), of women. Even when writing his best poems he defends them in terms of fidelity to Lutheran theology . There are fine conversational set pieces, his self–important cousin Lady Hesketh condemns herself out of her own mouth as surely as any character from Thackeray or Austen. At times it’s so bracing and witty it’s as though you’re reading fragments of a biography James Boswell might have conceived as a follow–up to his life of Doctor Johnson. For all the vivacity of those who surround him and the fevered nature of his intellectual preoccupations, it’s Cowper’s struggles with his demons which come to overshadow the rest of his existence. (They are almost literally demons, he names the voices which mock him, the Grumbler, the Accuser, the Mocker, the Judge, the Director.) The author does not flinch from depicting the difficulties of the man’s life and there is no RD Laing nonsense about the superior access to truth of the mentally ill. Austerity remains the foundation of The Winner of Sorrow as indeed it was of Cowper’s poetry. It is a tribute to Lynch’s achievement that you close the book with the conviction that reading the work of William Cowper is not simply advisable but necessary. He has written a magnificent novel and, in doing so, stayed true to the spirit of a man whose view of existence was captured in his marvellous late poem, The Castaway, which compares the plight of a sailor washed overboard with that of the soul abandoned by God. And whelmed in deeper gulphs than he. Eamonn Sweeney is a writer. He is currently working on a novel entitled, The Ways That We Went. “It was the first day of a new century and in East Dereham the Christians were going to church,” begins Brian Lynch’s new novel, in an opening paragraph so elegant it might have come straight out of Jane Austen. The Winner of Sorrow is a fictional retelling of the life of the poet William Cowper; a forgotten poet, it says on the jacket, though many of us can still dredge such lines as “I am monarch of all I survey” and “God moves in mysterious ways/ His wonders to perform” from the depths of dusty primary-school memory. Born into a wealthy family, Cowper (pronounced “cooper”) was shaping up to a privileged existence as an upper-crust lawyer in London when he had what we would, nowadays, call a breakdown. He sought refuge in the countryside, which made him feel better, and in fundamentalist religion, which made him feel terrible. It is one of the many ironies of Cowper’s story that a man with a genius for poetic communication should find himself so out of tune with his fellow human beings. Mad as he was, however, he inspired unflagging devotion from friends of both sexes. Lynch’s portrayal of Cowper’s mental condition is strikingly at odds with the approach taken by most contemporary fiction, where insanity has become almost synonymous with sociopathy. We are accustomed to reading about cold, calculating killers who lurk in the darkness at the edge of society and strike out, now and again, at us normal folks. Cowper is a very different literary proposition: in his contradictions and inadequacies and endearing humanity, he is us normal folks. “He understood,” we are told in that exquisite opening paragraph, “that he was completely insane, or rather almost completely, but not quite. In the same nearly perfect way, he was sure that he had always been too contemptible to be loved by any living creature, but that loving him had destroyed the lives of four women, three wild hares and a linnet.” That “not quite” is important. So is the wry tone of the narrative, which never falters, though the action moves forward by lurches and jolts, skipping back and forth in time and peering out from some outrageous angles as it follows the swoops and hiccups of the hero’s convoluted reasoning. And then there is the sheer joy of the cast of secondary characters; a collection of real-life personages so shambolic, earnest and downright odd that no novelist would dare to make them up. Lynch doesn’t fail to capitalise on the comic potential of his menage of misfits, and merriment regularly bubbles up through the cracks. When, late in the novel, the royal physician arrives to examine Cowper with a view to whipping him off to an asylum, there is a scene which wouldn’t be out of place in a Rossini opera, with rival lady-loves sniping at each other over afternoon tea while the inevitable male companion tries to keep the peace and Cowper flutters ineffectually from one side to the other. Rossini opera via 21st-century sitcom: or Jane Austen seen through the window of Fawlty Towers, perhaps. Does it all sound mannered and cruel? If it does, the fault lies with this reviewer. The Winner of Sorrow is a brilliantly imagined, impressively executed piece of writing. Its trump card, though, is not style, but substance. Compassion, not cleverness, makes it tick; love, it suggests, is as ludicrous as everything else, but it’s all we have. A wonderful book.